Yellow Belt is the start of your Recruitment Ninja journey. Recruitment Ninja Yellow Belt starts at the very beginning and walks you through the whole recruitment process. It is where the foundations for the rest of our training are formed so is extremely important. 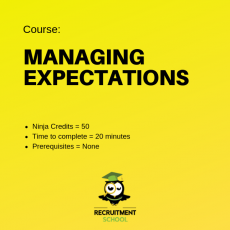 This is the complete Recruitment Ninja Yellow Belt course, everything you need. 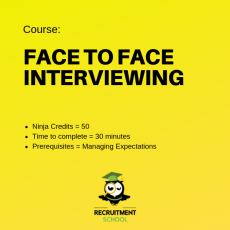 Recruitment NINJA is the only intensive training program specifically designed for brand new people who joining agency recruitment. It is designed to provide the foundation training so that any new person can "get up to speed" as quickly as possible. 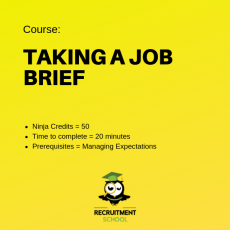 Recruitment Ninja is a self-learning course and requires approximately 1 hour per lesson, of which there are 17. 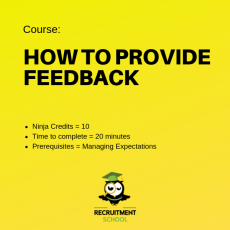 Recruitment NINJA has been specifically designed for those who are new to the recruitment industry in a agency and have the support of their Manager or other experienced recruiters to help them get up and going. If support is not available, or you feel as though you may require more support, add on 3 Months Coaching to help give you that extra edge. Our Recruitment Coaching package will provide support throughout the learning process and beyond. 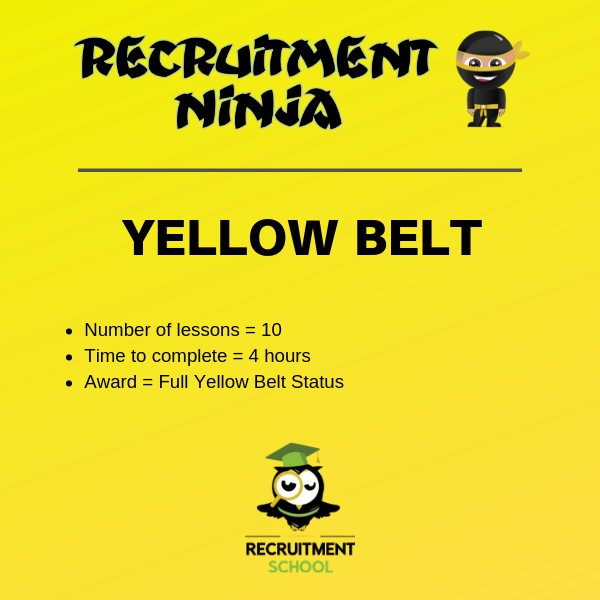 Recruitment Ninja - Yellow Belt contains a self-learning program and requires a minimum of 1 hour per module. There are 17 modules which can be completed over a period of time.